I wrote this a while back. My imaginary version of what it was like for my grandfather and grandmother when they arrived at Ellis Island. I’m horrified by the UN American cruel and inhumane actions of our President and his administration. You don’t appreciate what you have until you are faced with losing it. The day that we arrived we were woken up by a loud commotion on the deck. I quickly dressed and climbed the stairs up to see what was going on. The passengers were facing one direction. They were crying and praying in languages I didn’t understand. We were finally here. I could see it in the near distance — The great lady of the harbor we had heard about. Rose was still sick. I hurried and went to get our things together and help her get dressed. We would be docking soon and I wanted to make sure we had all of our papers in order. When we arrived at Ellis Island we were separated. I never forgot the fear in Rose’s eyes as they took her away. She was put into quarantine and I wouldn’t see her again for 2 days. I now moved through everything quickly and was cleared to leave but had to wait for my wife. I didn’t know what I would do if they sent her back. They fed us and had beds set up in what was called the Great Hall. I became friendly with a guard who helped me get a message to her. On the second day she was released and we purchased our tickets for Pennsylvania where I had a cousin. 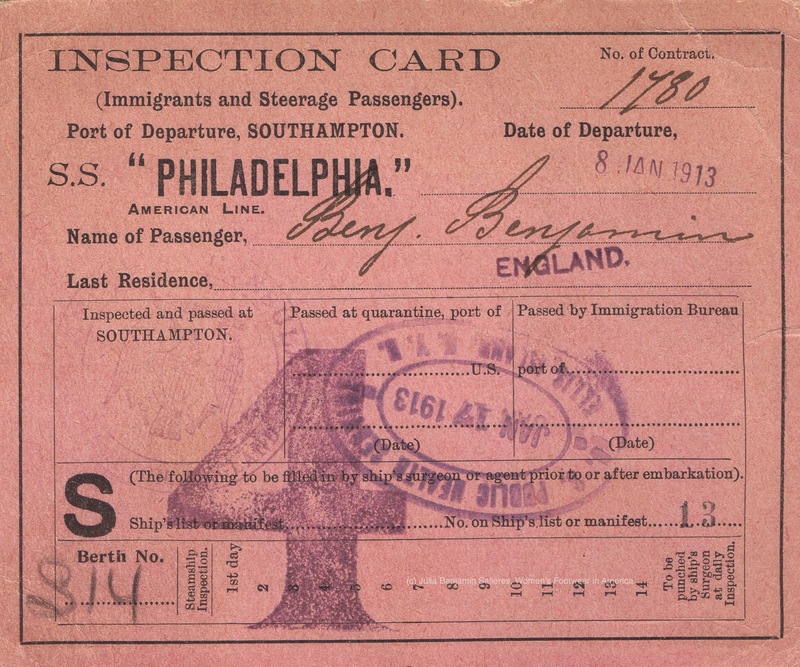 We boarded the ferry to New Jersey and from there took the train to Harrisburg to start our new life in America. You are currently reading Coming To America. at Women's Footwear in America.